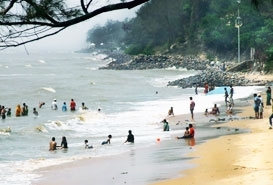 Far from the hustle and bustle of the coastal town of Goa, Kerala and Karnataka, the beaches of Orissa offer quite a different picture when it comes to beach tourism in India. 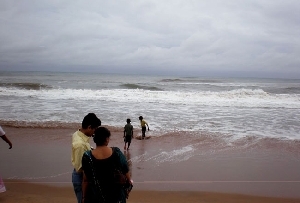 The beaches in Orissa hold holy significance as some of the holiest Hindu temples are located at the shores Orissa. 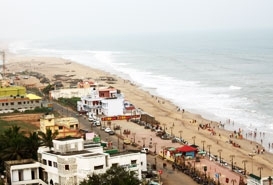 Supreme among the holy beaches in Orissa is the Puri beach offering perfect blend of pilgrimage and adventure. Home to the legendary Lord Jagannath Temple, Puri is one of the most respected of pilgrimage destinations for Hindus. 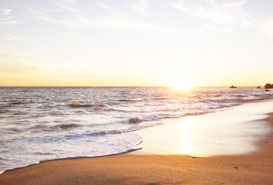 The stretches on the Puri beach are also good places to spend some memorable time and indulge in some adventure activities and water sports making it an ideal destination for family holidays in Orissa. Yet another popular beaches of Orissa that should be on your travel itinerary if you are visiting Orissa is the Konark Beach. Also known as Chandrabhaga, the Konark Beach is ranked amongst the finest beaches of the country on the eastern coastline. The extensive stretches of sylvan sands and azure waters of the sea make the Konark Beach one of the loveliest places to unwind. One of the top temples in India, the Sun Temple - also known as the 'black pagoda' and inscribed by UNESCO as World Heritage Site - is located by the shores of Bay of Bengal here at Konark. 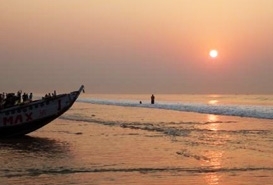 Some other popular Odisha beaches that should be on your travel itinerary are Gopalpur Beach and the Chandipur Beach.